Celebrity deaths are a cathartic subject. They are people we have never met but we have grown up with their presence, influence and as of the last number of years, a fly on the wall perspective into their lives through social media. This year alone we have lost John Hurt in January, Bill Paxton in February, Chuck Berry in March, Chris Cornell in May and Adam West in June, among others. 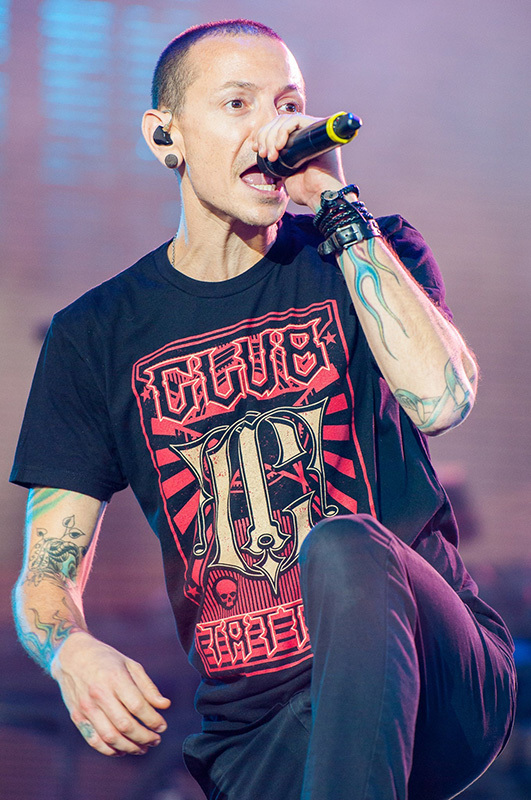 On July 20th, we tragically lost the talented vocalist Chester Bennington of nu-metal band Linkin Park. He committed suicide at his house in Pals Verdes Estates, Los Angeles. He was forty-one years old. The band formed in 1996 under the name Xero as a rap-rock act. Three years later in 1999 under the new name of Linkin Park (not the actual Lincoln Park in Chicago, Illinois) they were signed to Warner Bros. Music and nothing would be the same again for rock in the early 2000s. In 2000 and 2001 the boys stormed the hard rock and heavy metal scene previously dominated by the likes of Korn, Disturbed, Limp Bizkit and Slipknot, respectively. Their hits included ‘One Step Closer’, ‘In The End’, ‘Papercut’, ‘Faint’, ‘Crawling’, ‘Numb’, ‘Breaking The Habit’ and ‘New Divide’ from the Transformers: Revenge of the Fallen soundtrack that reinvigorated their mark on the rock music. In 2004 the band collaborated with Jay-Z for the Collision Course EP that united both rock and hip-hop fans alike. Even if you were not a fan of the music you could recognise Chester from his signature flame tattooed forearms, lip ring, tipped/dyed hair, or even his blink-and-you’ll-miss-it movie cameos, such as in Crank as a sketchy chemist customer or in Saw 3D as an ill-fated victim. The band’s latest album One More Light was released in May, and the sextet were in the midst of an American tour before the shocking tragedy struck … On the eve of Bennington’s dear friend and lead singer of Soundgarden Christ Cornell’s would-be birthday, he took his own life. Condolences from celebrities including Jimmy Kimmel, Justin Timberlake, Jared Leto and Channing Tatum have outpoured online. 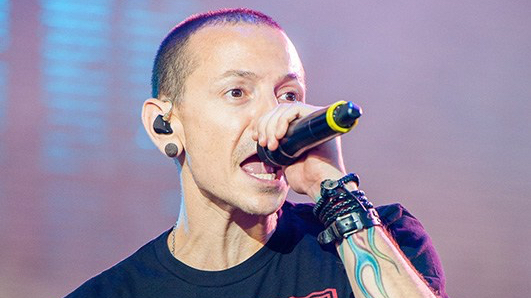 For some, Bennington was just another musician from another band. For others, he was the guiding light in a darkened existence where only music shone the way. Linkin Park’s songs dealt with isolation, self-doubt, alcohol and substance abuse and failed relationships. Everyone remembers their first band obsession. I grew up in the height of Linkin Park’s popularity. They were my introduction to heavy metal and gave me the invaluable gift of self-expression through music and art. My first CD purchase was their multi-platinum debut album Hybrid Theory. I read the liner notes, lyrics and thank yous of the album booklet religiously. I engaged with friends in playground debates about favourite songs and when their latest music videos featured on weekend viewings of Rage and Video Hits. Hell, I remember when I was at least ten-years-old blasting ‘In The End’ at Christmas, that’s how much I loved this band! I had a small shrine of articles cut out from those adolescent magazines of interviews and Wikipedia-grade biographies about the band. I owed multiple Linkin Park DVDs (some questionably bootlegged, some not). I wanted to dress like the band, I wanted to be Chester Bennington, I wanted to be Mike Shinoda. I still remember receiving their second album Meteora for Christmas during one family get-together. While my cousins were drooling over NSYNC, my brother and I were clambering over who got to rip open the wrapping paper first. When every relative shambled out the door in various degrees of alcoholism and food comas I snuck the disk onto the CD player in the corner to quietly listen to ‘Numb’ on repeat. Literally, that one single, over and over again until it was bedtime. Though years have passed and my music taste has shifted and morphed I still have a special place for the album that started it all for me. A deep fondness for a simpler time and when life didn’t seem so adult-y. This invisible disease has claimed another creative soul. A veil of sadness has once again shrouded the music community. Bennington left behind a wife, six children and a lifetime of memories for loved ones and fans worldwide. If you are ever having doubts about yourself or showing signs of depression, please, seek help from one of the provided numbers below.